Home How to Motivation Internet Marketing Needs People Trust, How To Get It? 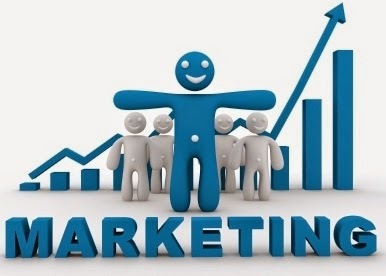 Internet Marketing Needs People Trust, How To Get It? Online market place is the arena of trading on the internet, a meeting place between prospective sellers and prospective buyers freely just like in the real world. The mechanism occurs in the marketplace is basically the adoption of the concept of "free market" and "open market", within the meaning anyone open to get into the arena, and free to do various business initiatives that lead to the exchange of goods or services transactions. Such as getting people to buy your product so you can earn commission from the purchase of the person or invite the person would become members of your referrals. Here you can use PPC (Pay Per Click) that is a popular way to promote affiliate products you promote. The famous PPC program are Google AdWords and Media.net. Take advantage of the website or blog as a your marketing asset. Here you utilize to make the review articles, news, or even controversy tehniques about the affiliate products you will sell. Of course, in the article you must insert your affiliate URL link and install some Banners of Advertising link your affiliate URL on your site or blog. This method is suitable for those of you who have good writing skills and is able to monetize blogs, with SEO as a weapon and hope you got your website or blog will get visited. Do not have a blog? No problem at all, you can also write articles and submit them to article directory sites. If you want to spend a little money, you can even hire the services paid to write a review about the affiliate product. Another way that most conventional, ie by renting space banner ads on other sites to promote your affiliate products. The number of classified ad service which is providing space for your ad for free to promote your affiliate products. Now there's even software that is capable of sending advertising to tens or even hundreds of classifieds sites automatically. What is meant by email marketing is here not send mail as spammers, but rather to an email list you have. To do so, you must first perform list building process. The success of this technique depends on the suitability of interest in people enrolled in the list of the products you are promoting, your skill in the Promotion, as well as the level of their trust in you. Get their heart and it means they will become the buyers.